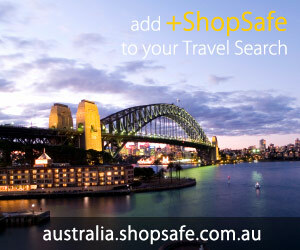 Electronics - Communications - Telephony - Mobile Phones Accessories - ShopSafe. There are 5 products in the Overstockdrugstore > Electronics - Communications - Telephony - Mobile Phones Accessories ShopSafe Category. Energizer Duo Usb Charger Description: Energizer Duo USB Charger watch on screen as your batteries charge! Energizer Duo USB Charger Charges two AA or AAA batteries through a wall outlet or a USB port. Includes two AAA rechargeable batteries. Charges two AAA in 1.6 hours and two AA in 4.5 hours. Safety features include Delta V Charging Cut Off, Max Voltage Shutoff and Reverse Polarity Protection. etc. Buy this Energizer Duo Usb Charger today from USD$14.01 on the Overstockdrugstore website. Energizercell Phone Charger Energi-to-go Instant Description: Energizer Energi To Go provides fast, long-lasting charging power for your cell phone devices when you are unplugged and on the go. Compatible with most cell phones, Energizer Energi To Go Instant Phone Charger performs the dual duties of providing the power to talk and the power to charge. etc. Buy this Energizercell Phone Charger Energi-to-go Instant today from USD$16.81 on the Overstockdrugstore website. Energizer Cell Phone Charger Energi To Go , 1 Each Description: Energi To Go, Sprint - Samsung Instant Cell Phone Charger. Includes Charger, 2 Lithium AA Batteries 1 Sprint 1 Samsung Connector. etc. Buy this Energizer Cell Phone Charger Energi To Go , 1 Each today from USD$16.81 on the Overstockdrugstore website. Energizer Cell Phone Charger Energi To Go - Nokia Description: Energizer Energi To Go provides fast, long-lasting charging power for your cell phone devices when you are unplugged and on the go. Compatible with most cell phones, Energizer Energi To Go Instant Phone Charger performs the dual duties of providing the power to talk and the power to charge. etc. Buy this Energizer Cell Phone Charger Energi To Go - Nokia today from USD$16.81 on the Overstockdrugstore website. Energizer Cell Phone Charger Energi To Go Instant Mini Usb Phones Description: Plug in for automatic power-even when phone battery is completely discharged. Up to 10 hours of talk time and up to 12 days of standby. Reusable... Convenient... Portable... Power to talk anywhere, anytime! INCLUDES: 1 Cell Phone Charger 1 Mini USB Tip 1 Macro USB Tip 2 Energizer Ultimate Lithium AA Batteries Made in USA. etc. Buy this Energizer Cell Phone Charger Energi To Go Instant Mini Usb Phones today from USD$17.01 on the Overstockdrugstore website.